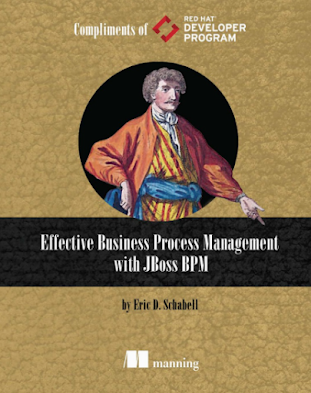 This week we bring you a new chapter in the evolution of your JBoss BPM Suite by integrating it with a governance scenario. 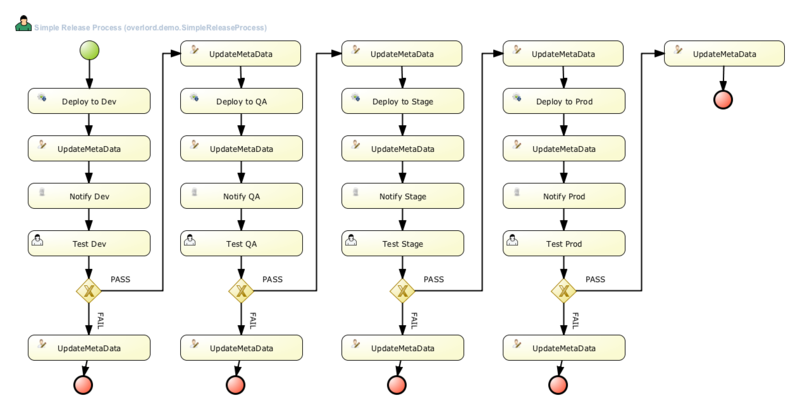 You have asked about the possibility to govern your project artifacts from dev - qa - stage - prod and we have put together a demo that integrates the DTGov (design time governance) component that is supported with the BPM Suite product. 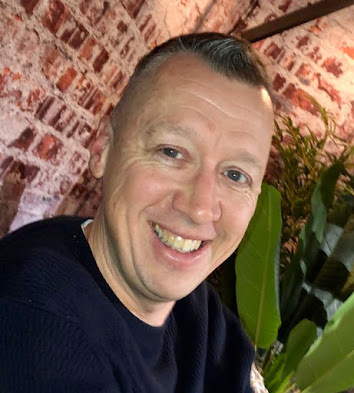 The original founding engineer Kurt Stam is a friend of mine and was passing through the area when we decided to hang out for a few hours and put S-RAMP, DTGov, and JBoss BPM Suite together in a single automated demo setup. Kurt Stam, founder of S-RAMP. 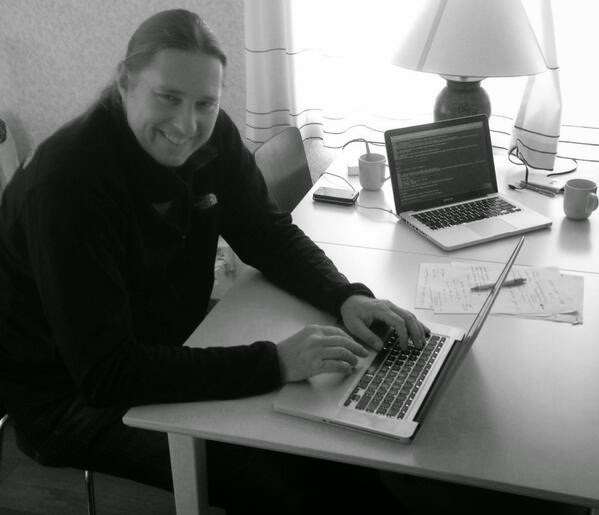 Follow the instructions on the screen to start JBoss BPM Suite server and S-RAMP server. Login to http://localhost:8180/business-central  (u:erics / p:bpmsuite). Note that the setup puts S-RAMP product on port 8080 and JBoss BPM Suite on port 8180 (offset 100). 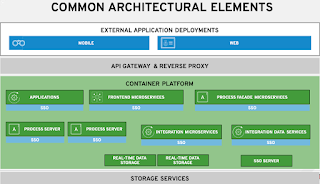 The S-RAMP and DTGov installation is configured to automatically react to any deployments of the provided rewards project, kicking off an instance of the process to start evaluating and approving or rejecting the artifact build for the next level of your infrastructure. If at each stage you approve the task waiting in the S-RAMP UI, it will copy the artifact to the new deployment stage. For example, initially you will find a copy of the rewards jar in the /tmp/dev folder, but after approving the waiting task you will find a new copy in /tmp/qa. 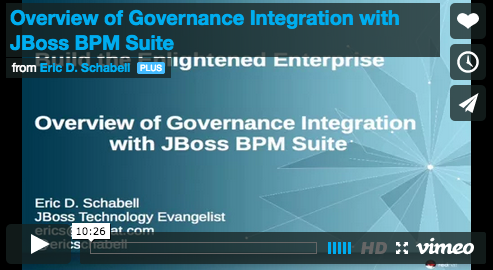 We hope you enjoy this new demo showcasing governance integration with JBoss BPM Suite.